Located at the centre of Southeast Asia, Thailand—with a population of 67.5 Million inhabitants—is in many ways a large, exuberant, and unique country. Its geography and landscape is diverse, with boundaries marked by mountains, plains, rivers and oceans. Ten percent of the population lives in the capital Bangkok, the language mainly spoken is Thai, and the main religion is Buddhism (95% of the entire population). 2004’s tsunami devastated a region on the country’s southern peninsula, but the area has recovered rapidly. Despite spots of poverty, signs of progress and improvement may be seen everywhere in the society. Thai culture places a high priority on respect and politeness, something seen in a complex hierarchical system that honours elders, leaders, and ancestors. Unlike Western philosophy, which often focuses on linear modes of reasoning, Thai culture prizes a holistic way of thinking. In this part of the world, the Lord Jesus has a special call for Lutheran Church–Canada (LCC) and its partner church Thailand Concordia Lutheran Church (TCLC). TCLC, which was founded in 2004, is headed by President Ted Na Thalang. The church is registered with the Government of Thailand through the Evangelical Fellowship of Thailand (EFT). 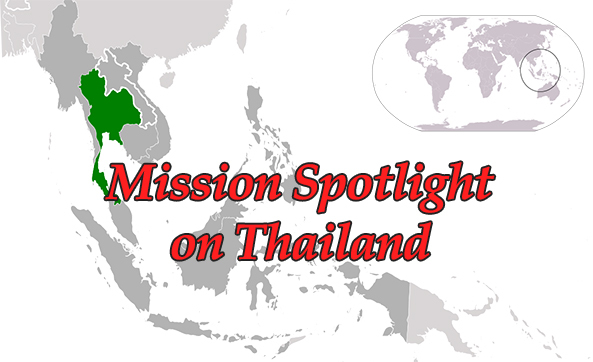 TCLC’s main difference from other churches is that it was started by Thai Lutherans rather than by foreign mission agencies or missionaries. In this regard it is similar to the Evangelical Lutheran Church of Cambodia (ELCC), another of LCC’s partner churches in Southeast Asia. TCLC’s confessional Lutheran theology is distinctive, and stands in contrast with other reformed and faith movements in the region. Pastors and church members have deep regard for Holy Scripture and the Lutheran Confessions. The Small Catechism has been translated into Thai, and translation work of other parts of the Book of Concord is ongoing. Ministry of Word and Sacrament, as well as mission outreach and human care, is at the centre of TCLC’s planning and work. The Lutheran Hour in Bangkok, or “Journey Into Light” ministry, has a special team of workers in the area reaching out with the Gospel and with Christian printed resources to several schools and communities. The only Lutheran congregation in Bangkok, Journey Into Light, is currently vacant, but still gathers 25-35 people for weekly services. TCLC promotes a yearly youth camp (ages 13-14 up to high school), with the main goal being to reach out to non-Christian youth. A larger number of TCLC pastors are worker-priests, holding secular jobs to supplement their family income. Rev. Niran Temsakul has been missionary to a vast and diverse region in the North for almost 18 years, and his main focus with his people is on cell group Bible studies meeting in homes. The gatherings focus on Bible study, catechesis, worship services, prayer, fellowship, and making handicrafts. Approximately 25-30 adults and 15 children meet together regularly in each home. When groups of worshipers organize themselves into congregations they are invited to become part of TCLC. Rev. Temsakul also carries on a special outreach ministry to the Hmong peoples in the far North region of the country along the border with Burma. The Hmong are not Thai, but their services are held in the Thai language. They live in very isolated areas. We thank and praise the Lord of the Church that in these remote regions His Gospel is proclaimed and His sacraments administered to the people. Theological education is also a main focus of TCLC, as the Luther Institute Southeast Asia (LISA) has an office in Bangkok and teaches regular intensive courses to pastors and teachers/deaconesses. This work is undertaken jointly along with the Evangelical Lutheran Church in Cambodia. In the southern peninsula, Revs. Suchat Srikakahn and Suchat Chujit carry on with their ministry and mission work in reaching out to the people of the Phang Nga province. Rev. Srikakahn works in Takuapa and Rev. Chujit in Kokkloi. Rev. Chujit is LCC’s missionary in the region, and is financially supported by LCC. Besides his main congregation, Concordia Lutheran Church in Kokkloi, he has three more preaching stations in the communities of Taimueng, Tungmaprao, and Klasom. Concordia has an average attendance of 30 worshippers, and the other three vary between 10 and 20 people. The main church in Kokkloi is currently in need of financial help to get back its electrical power and water, as its well is dry. Despite the challenges related to the mission, Rev. Chujit sees God’s grace and blessing in each aspect of his work. He is currently focused on Christian outreach and education to families with young children and youth. He also promotes a yearly outdoor event (visit to a park, museum or other historic sites), which has attracted non-Christian family members and other visitors. LCC leaders met with Thai church leaders in March 2015. Despite being present in several parts of Thailand, TCLC is still a small church, with approximately 300 members and less than ten pastors. Pastors and congregations face the challenge of isolation due to geographical distances. President Na Thalang’s own residence is in the United States. A local leadership presence in Thailand as well as more comprehensive and focused strategic planning on the national level would certainly be beneficial. During a recent visit to Thailand to meet with TCLC and Lutheran Hour Ministries leaders in Bangkok, I had the privilege to share LCC’s national strategic direction. Pastors and lay leaders reacted positively to the idea of implementing strategic directions adapted for their own church and mission context in Thailand. 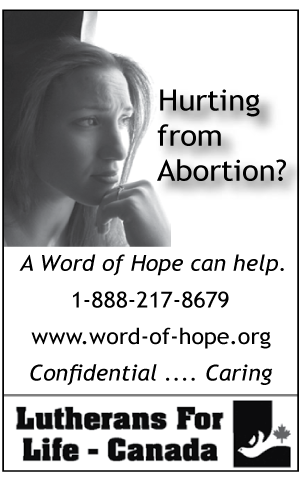 TCLC is blessed with great people resources, as well as material resources. We pray and trust that it will continue to make an impact in the expansion of Gospel proclamation in Thailand. As in other mission contexts, there are opportunities for Gospel proclamation and Christian education despite hardships and hindrances. There are visible signs of God’s miracles in people’s lives as He continues granting them salvation through faith in Jesus Christ. More than 90% of the Thai population lives without knowing or the Gospel, without the joy of the new life in Christ: TLCC and LCC must continue to focus on proclaiming the message of salvation in Thailand. As LCC continues providing for the church and mission in Thailand, we pray for the expansion of the Gospel through TCLC—that consultation between LCC and TCLC on mission and theological education continues, that more pastors and church leaders would be trained, that congregations would become better organized, and that outreach with the Gospel and human care services continue to be provided. LCC’s triennial theme calls us to ‘Come to Him Who Answers Prayer.” I encourage all of LCC’s members and congregations to do just that: bring the church in Thailand before our Lord in all our prayers. Rev. Dr. Leonardo Neitzel is Lutheran Church–Canada’s Executive for Missions and Social Ministry.